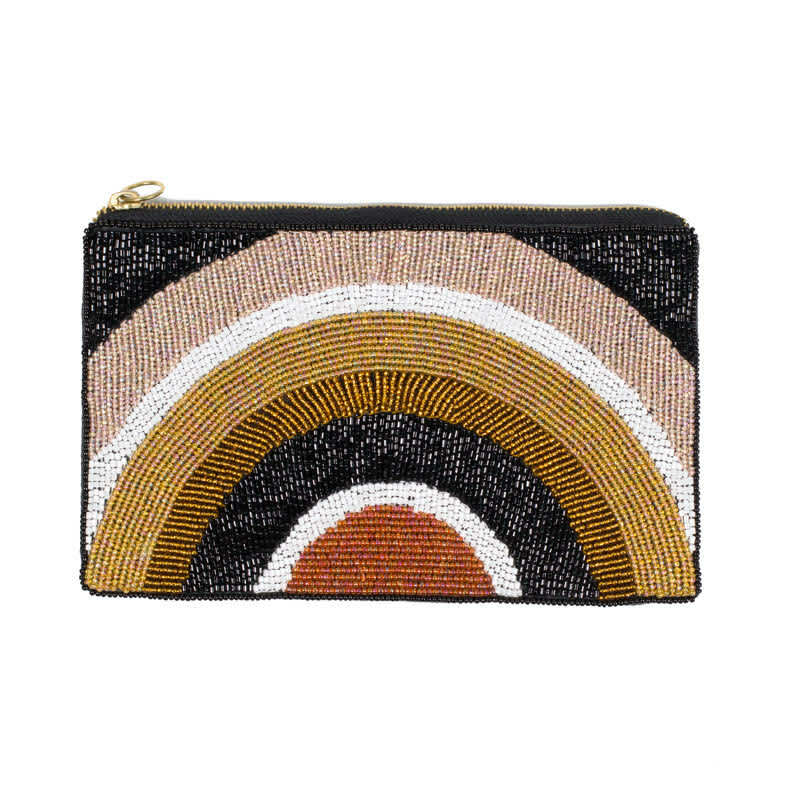 This gorgeous contemporary purse by Artebene reflects a warm sunset, with detailed beading and soft shades of copper and rose gold. It can be used for cosmetics or as a evening bag to add some sparkle. Material: 100% polyester excluding trim. Snap Store in London, United Kingdom.